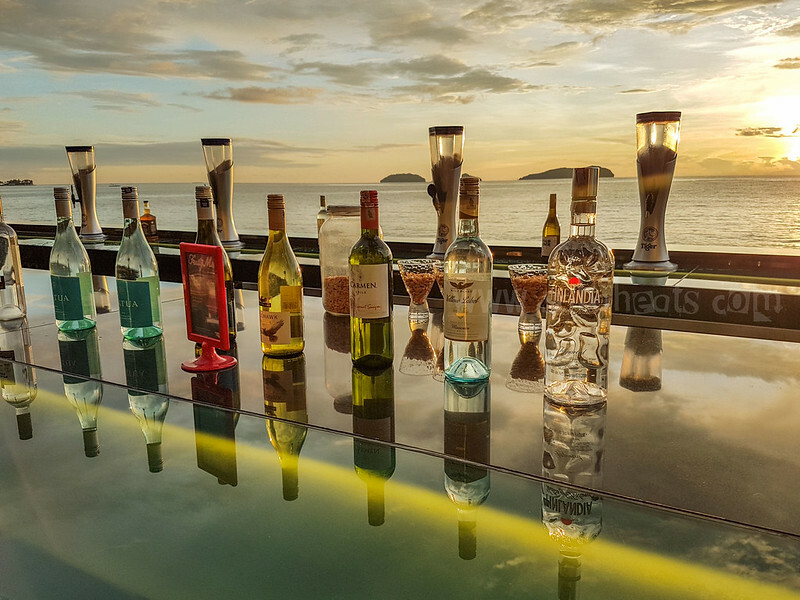 With its spectacular sea view, Breeze Beach club is one of the best top places in Kota Kinabalu for sunset view. 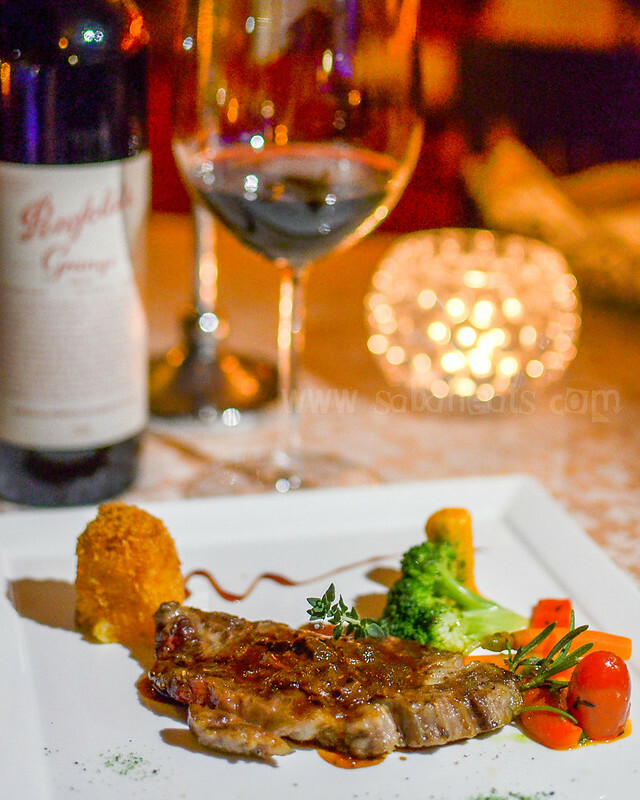 Breeze Weekend Fiesta is on every Friday, Saturday & Sunday from 6pm onwards succulent grilled offerings such as beef, chicken, lamb, and sausages barbecued over hot charcoal, cut and served at your table PLUS fresh seafood starters and refreshing garden salad as well as live fire-eating show. 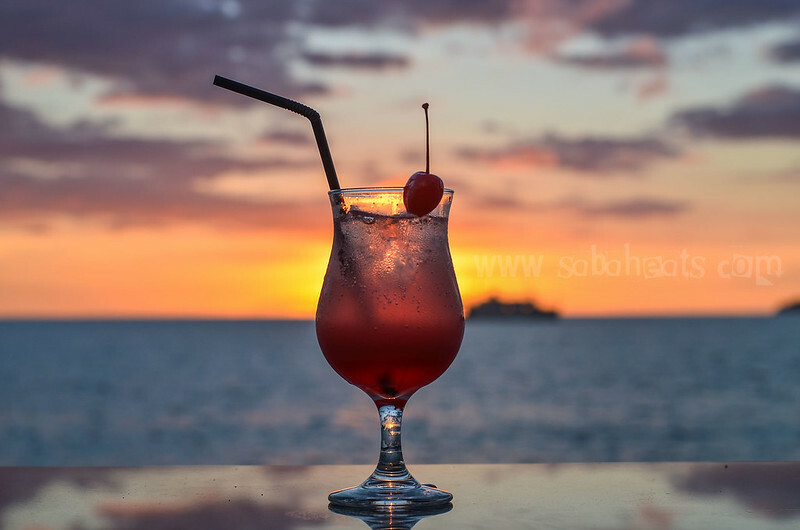 cocktail, mocktail and sunset view. 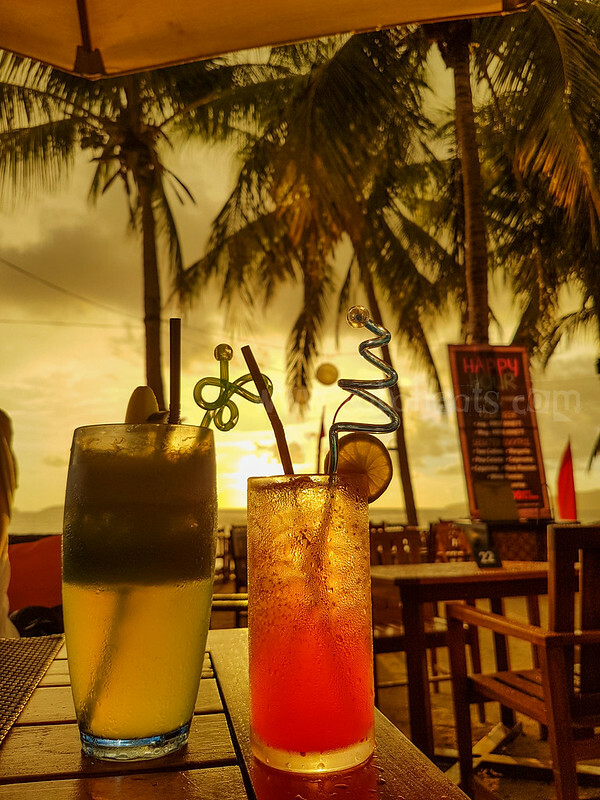 The perfect combination for sunset hours while enjoying the sound of the bristling waves and breeze. 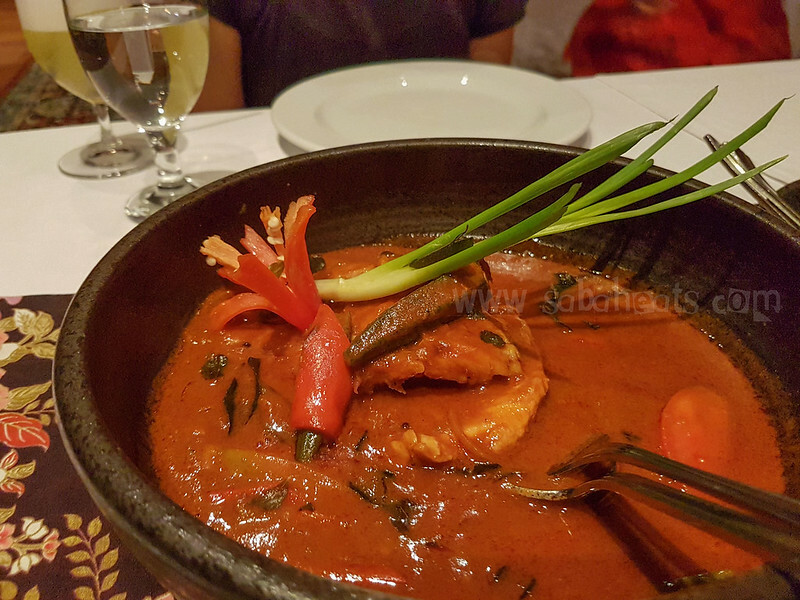 Oxtail Assam Pedas serve with bun. 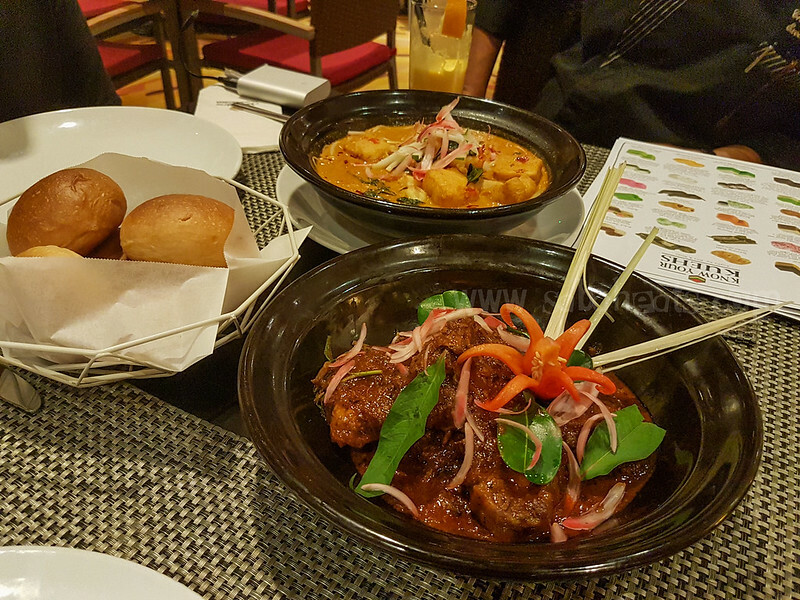 surprisingly, the Oxtail assam pedas goes well with buns. 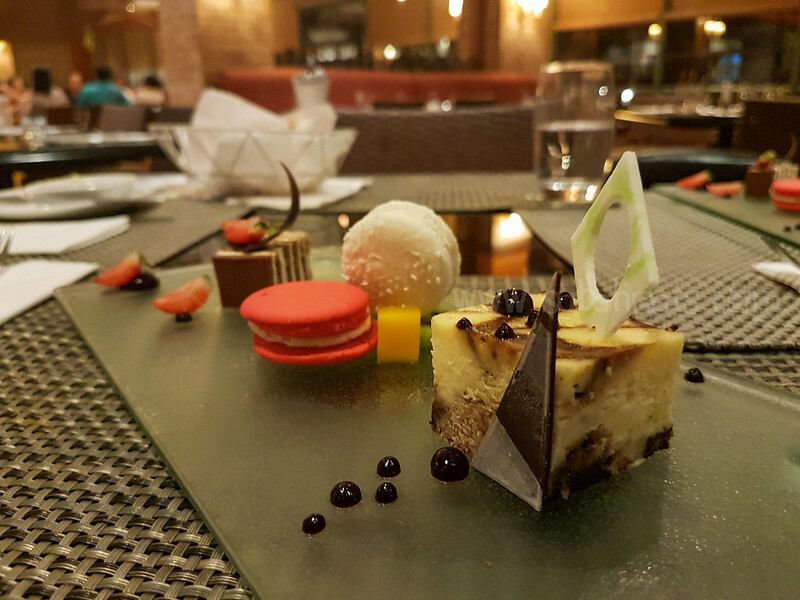 Thanks to the Chef recommendation, we had comfort food even when we are at a 5 star Resort. 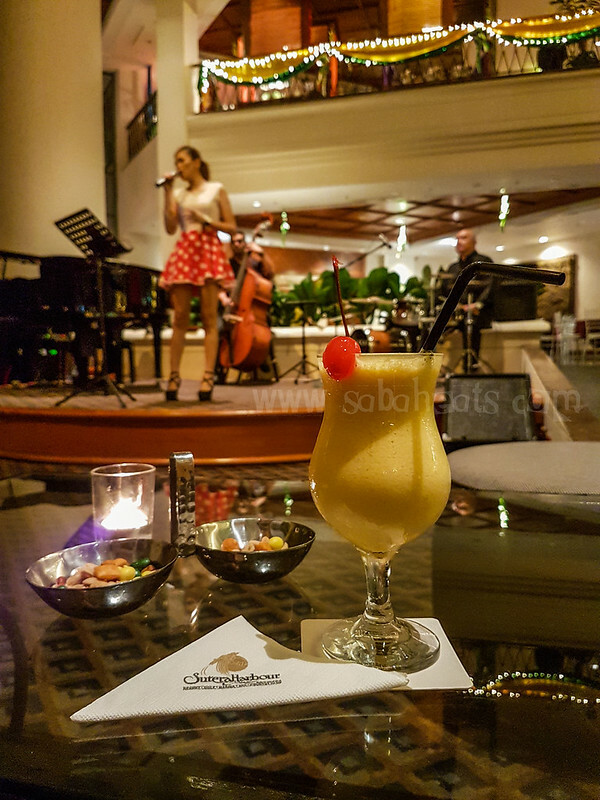 After a bath and relaxing bath, we spend some time at the lobby lounge enjoying the live performance by the local band. 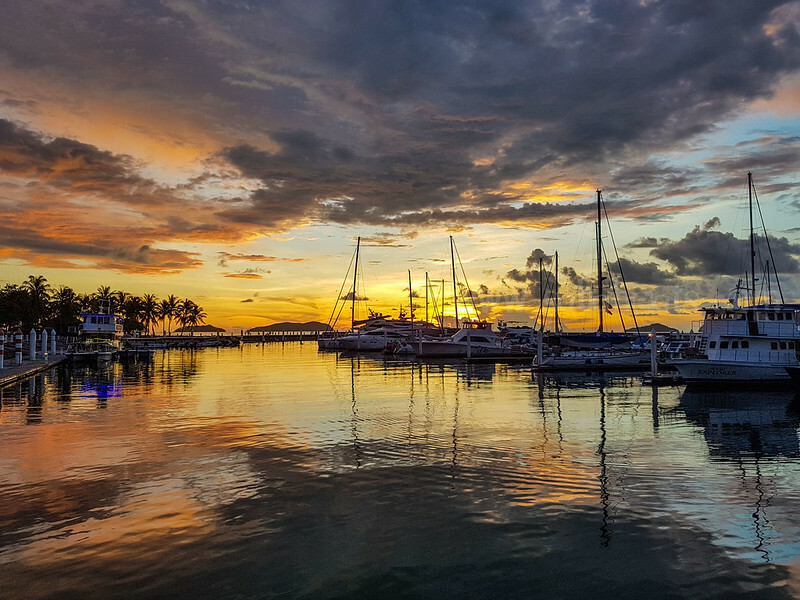 A great way to end out the first night at Sutera Harbour. 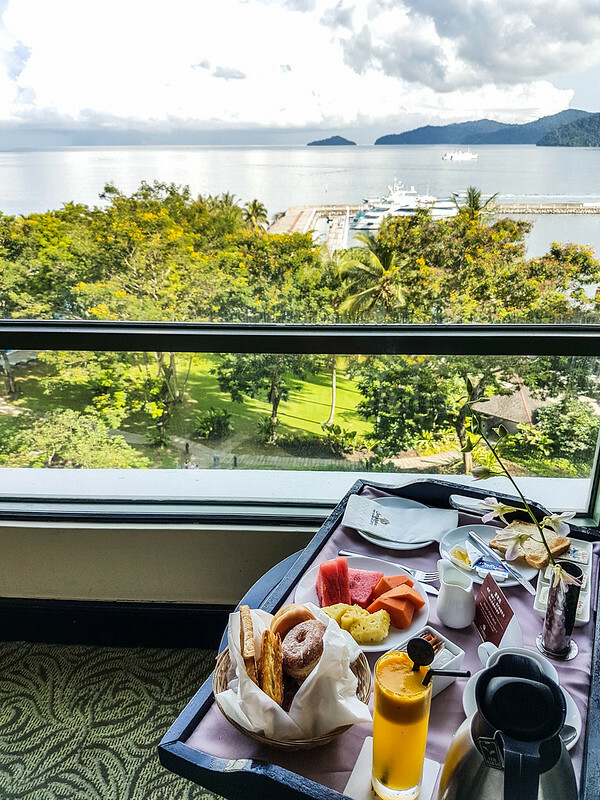 Woke up early the next morning and appreciate this beautiful view from the room. Breakfast is at Cafe Boleh. 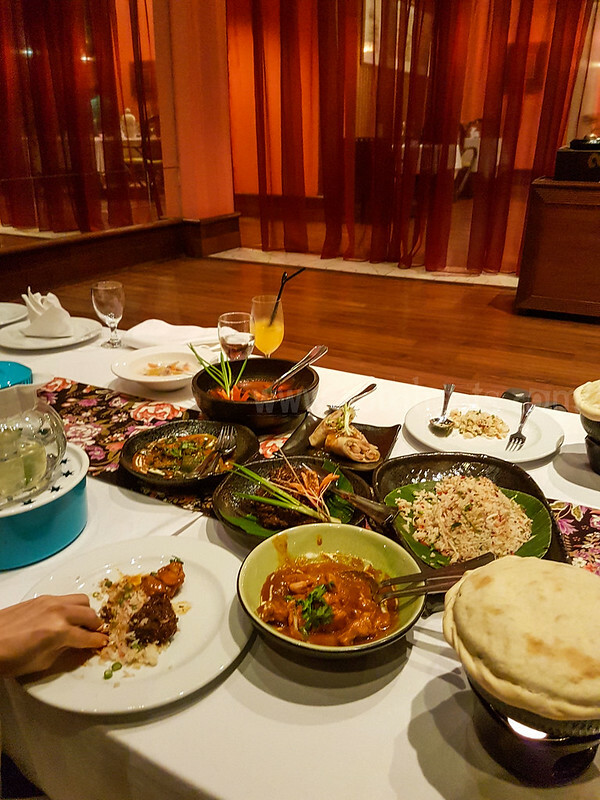 The buffet selection is good offering Malaysian to Korean foods as the hotel cater to guest from all around the world. 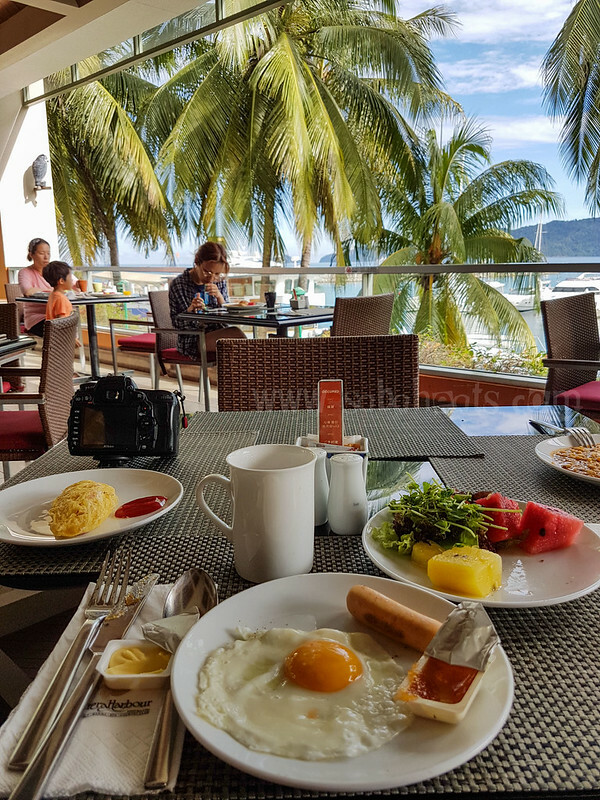 The buffet Buffet Breakfast us from 6.00am – 10.30am. 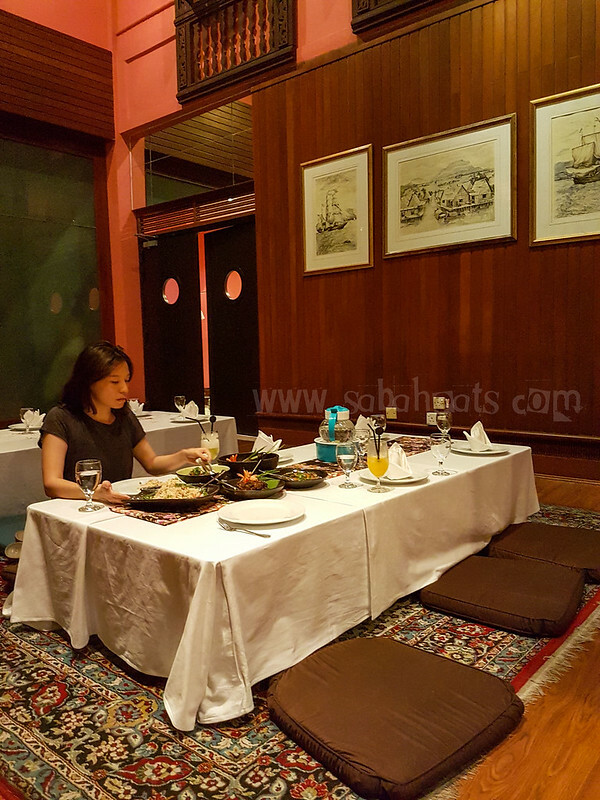 You can sit indoor or outdoor at Cafe Boleh. 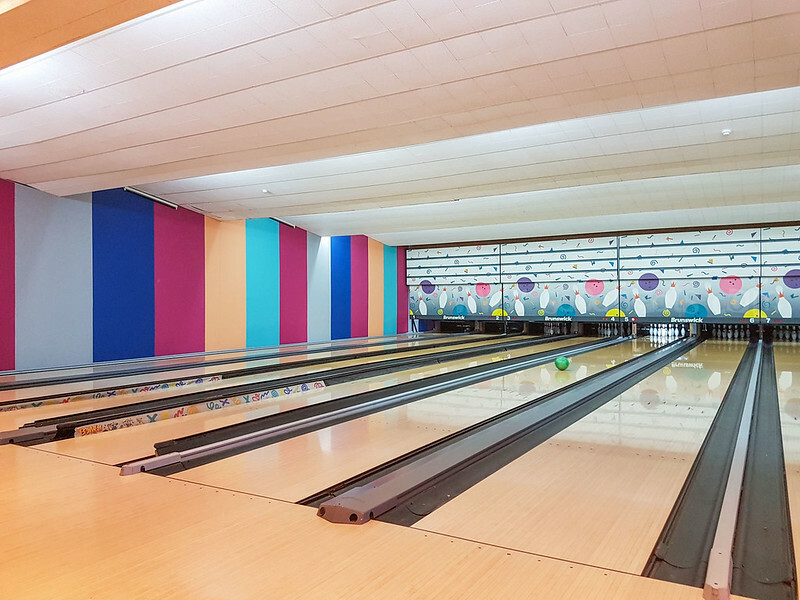 We were quite surprised to find a bowling center at the Marina Club. We had the whole bowling alley to ourselves! 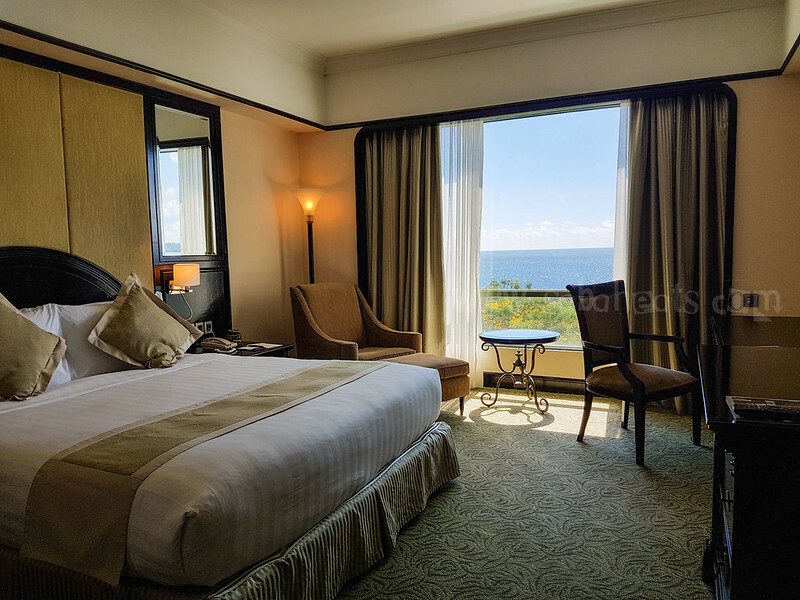 Located on Sutera Harbour property is 27-hole Graham Marsh designed championship golf course. 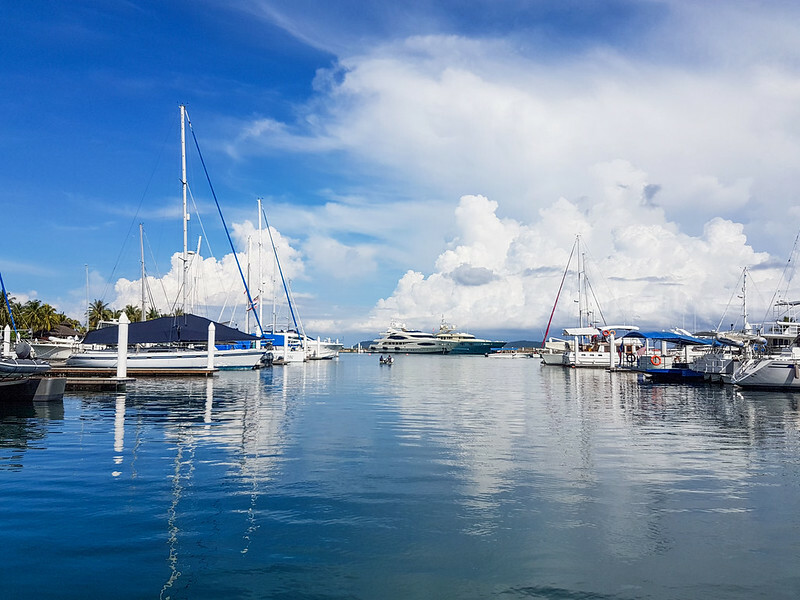 The Bermuda grass layout is located right next to the two hotels and marina. 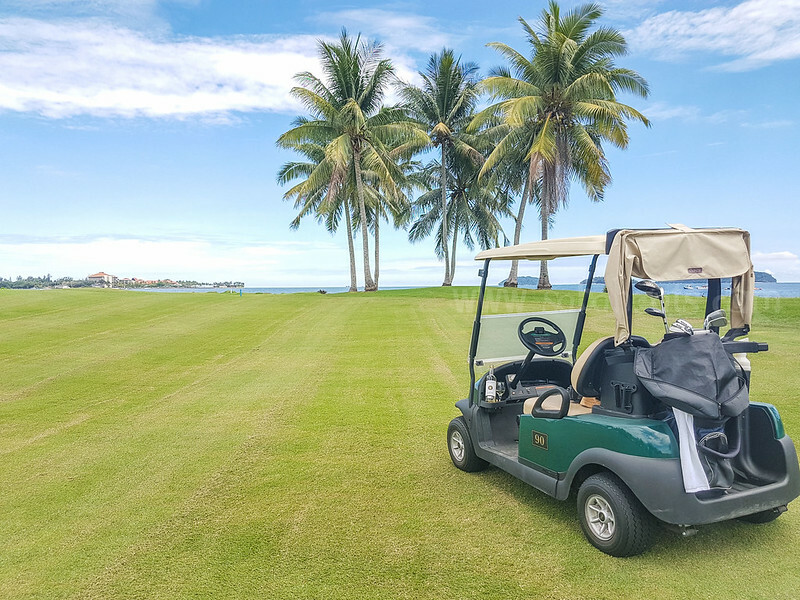 The 27 holes (Lake Course, Garden Course, and Heritage Course) can be played in any 9-hole combination. 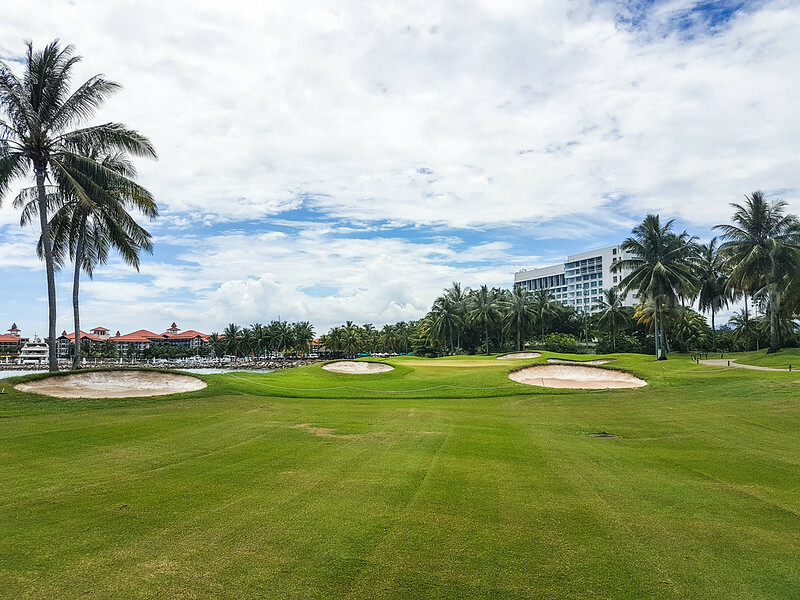 Featuring strategic bunkering, superb landscaping, and numerous waterways, the course is a challenge for amateurs and professionals alike. 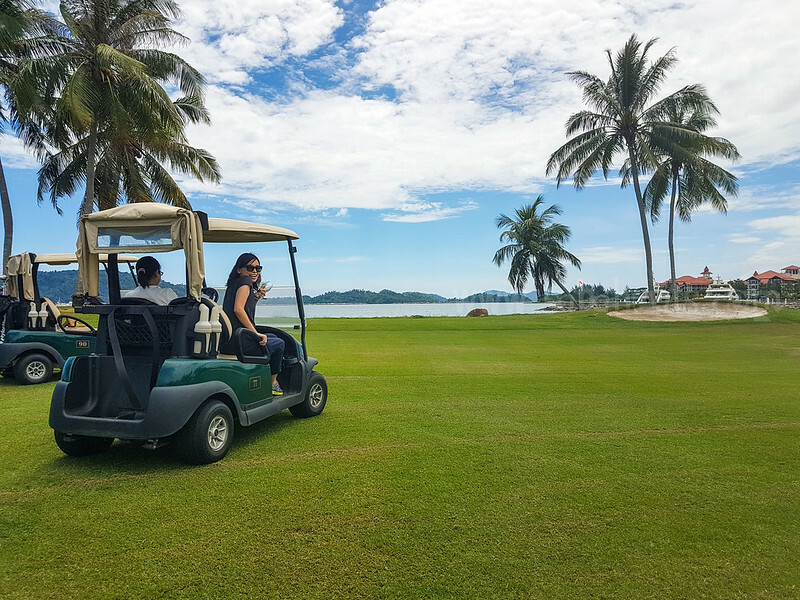 The golf course offers a wonderful view of the Kota Kinabalu city backdrop from the horizon across the fairway, the Heritage Course is a peaceful and secluded course with many fine holes. 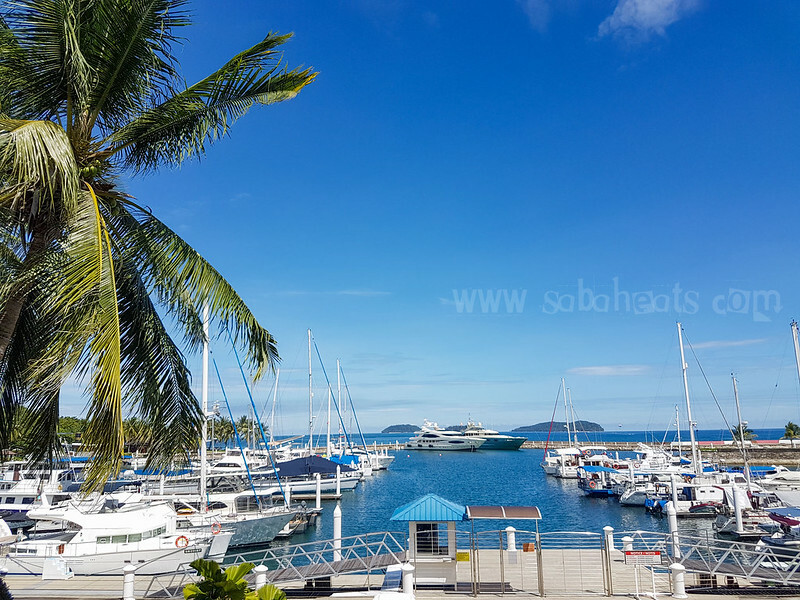 Coconut trees, greens and sea view. Cheers with a bottle of Beringer. 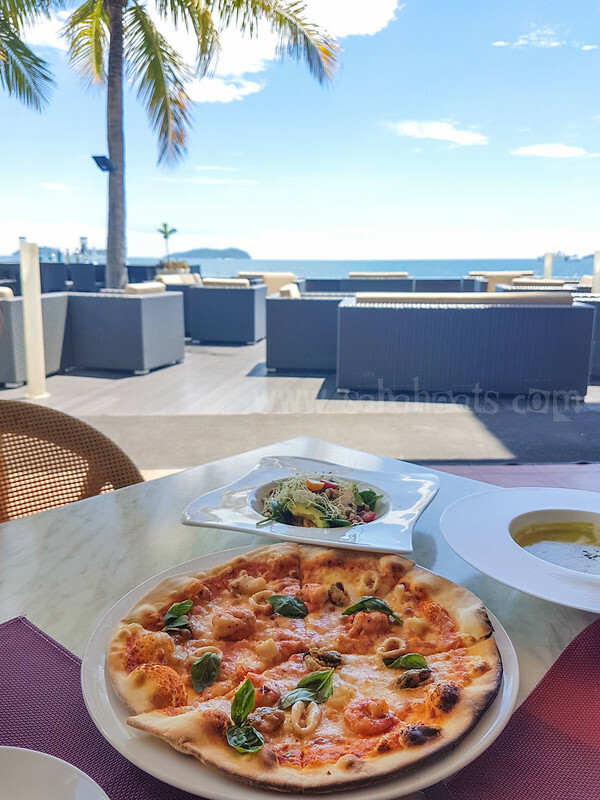 After spending some time at the golf course, we proceed to Al Fresco at Magellan Sutera for lunch. Al Fresco located by the side of a beautifully landscaped sea-view pool. 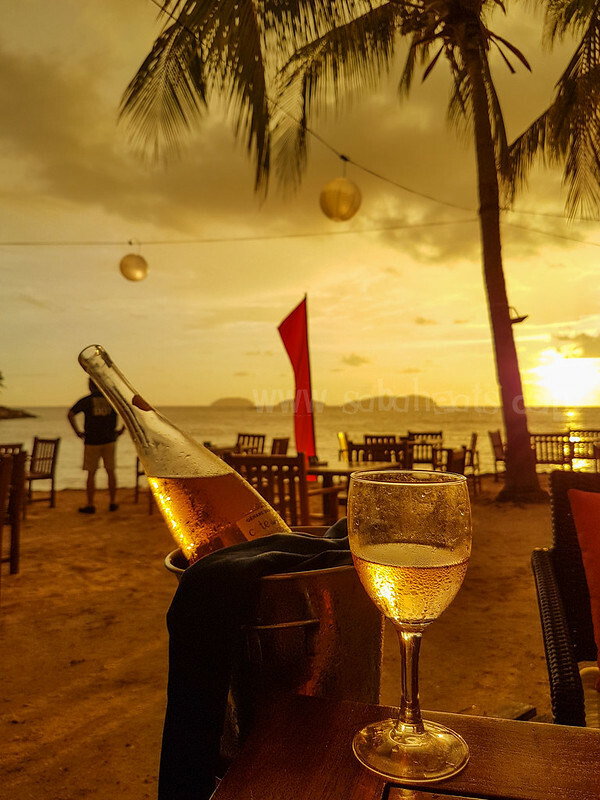 Great place to enjoys outdoor dining with spectacular scenery and a relaxing atmosphere. 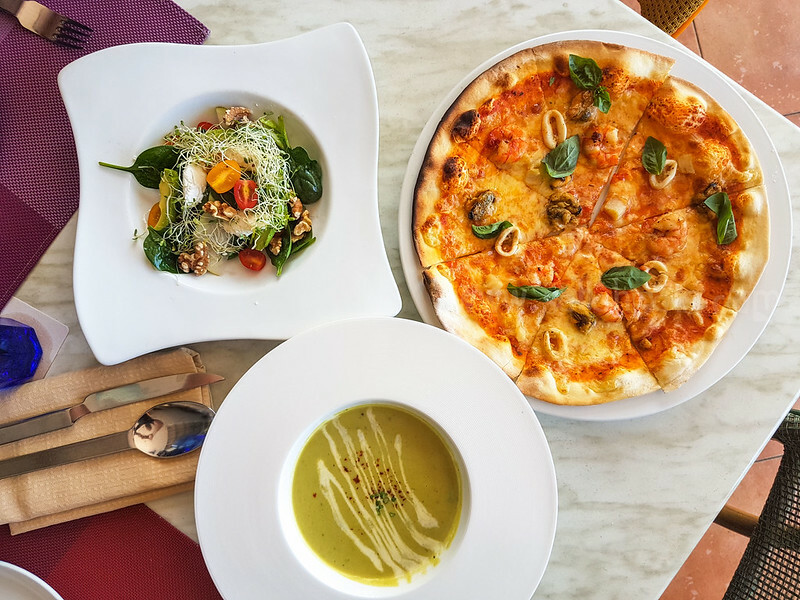 Pasta, seafood dishes and wood-fired pizzas are on the menu. 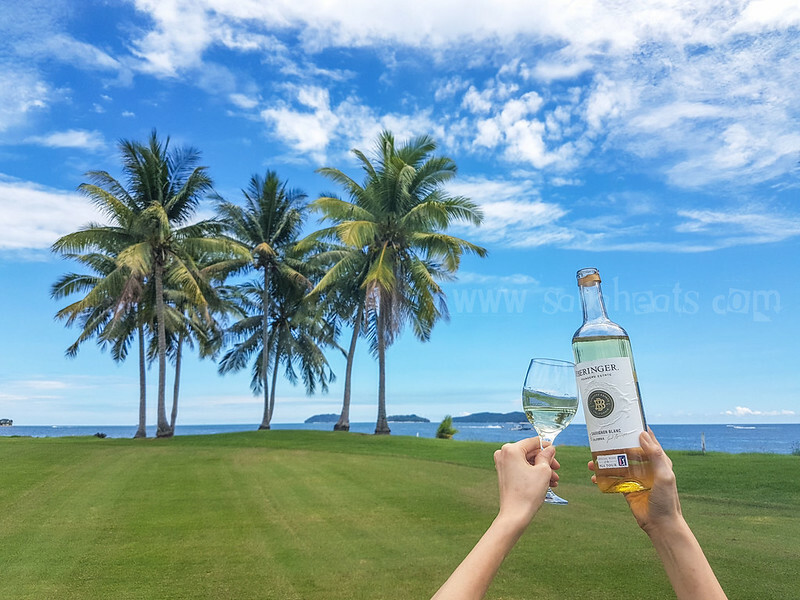 Al Fresco is one of the best place for scenic views in Kota Kinabalu. 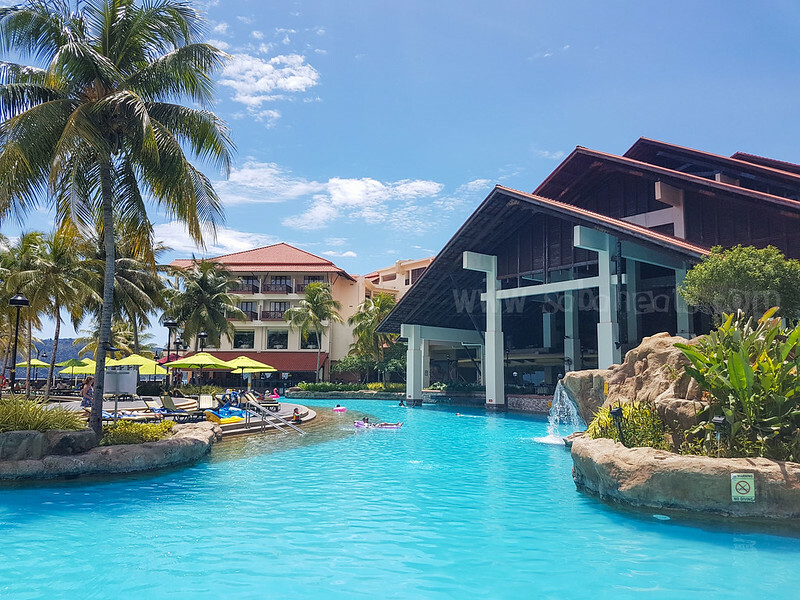 Guest can do cross signing at Sutera Harbour property, which mean guest can visit any restaurants around the property and sign the bills. 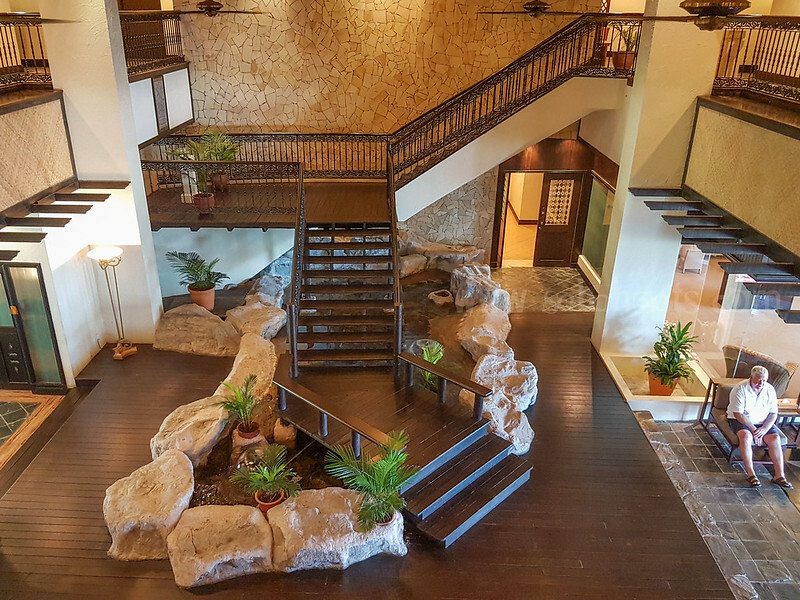 There are 2 spas in each of Sutera’s Hotel. 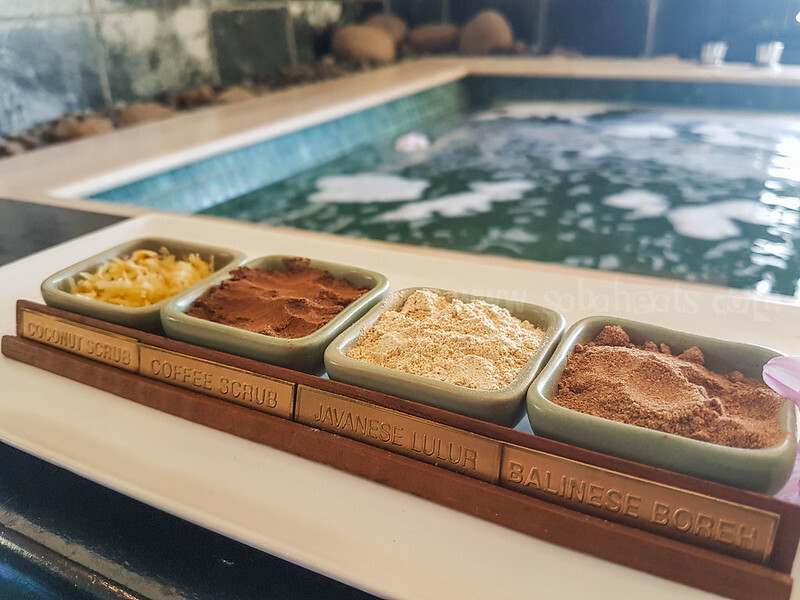 Chavana Spa at Pacific Sutera and Mandara Spa at Magellan Sutera. 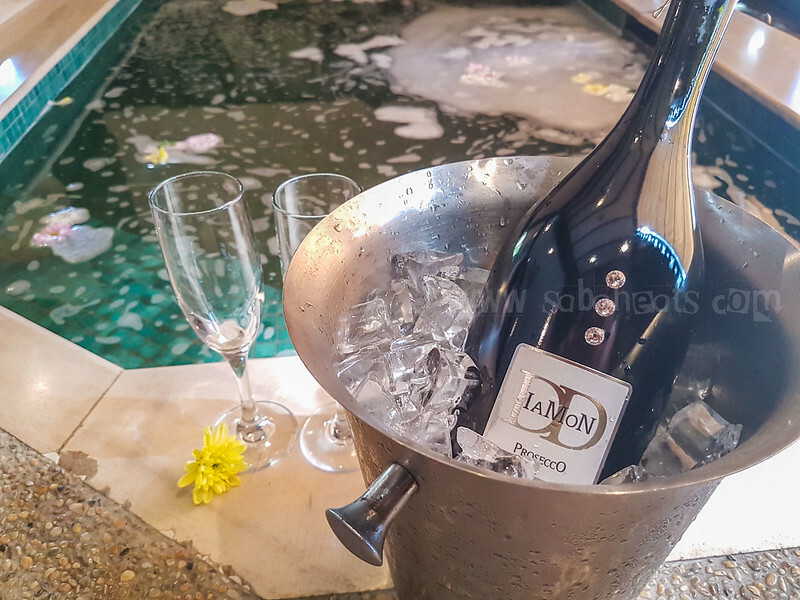 We spend out afternoon relaxing at Mandara Spa. 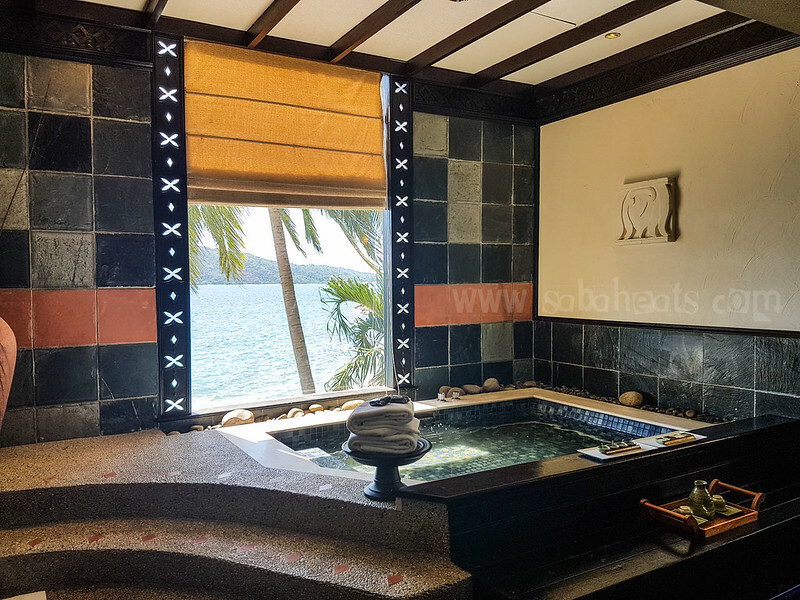 Mandara Spa features six double deluxe suites; each with private steam room, bath and relaxation area and six single treatment rooms, each with ensuite private shower and changing area. The spa menu offers each guest a unique spa experience, featuring Elemis Spa-therapy, the award-winning brand from the UK, traditional Asian favorites and Mandara Spa’s signature treatments. 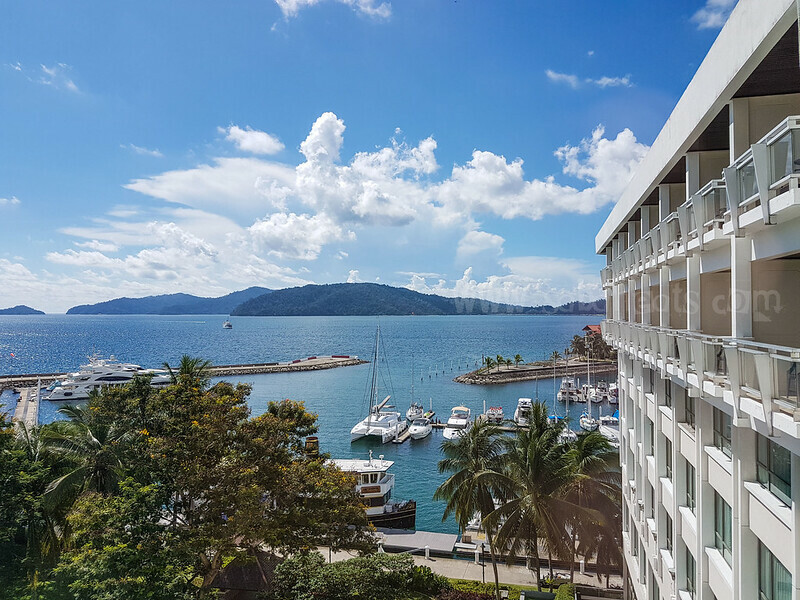 Elemis Pro-Collagen Quartz Lift Facial, Mandara Massage, the Ultimate Indulgence Spa Package and the first Oxygen Therapy Massage in Sabah, are just a few of the treatments offered at this urban oasis. 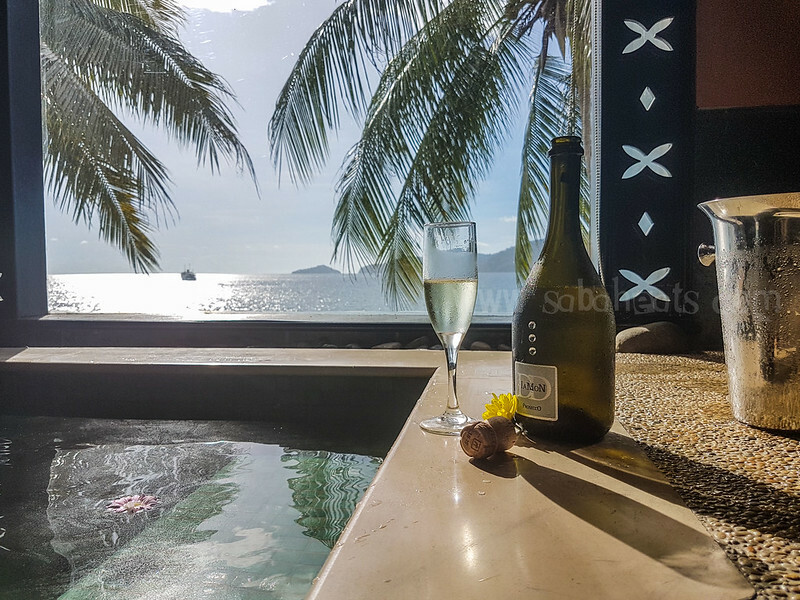 Diamond prosecco sparkling wine while dipping in the bath. With its lovely location by the sea (more like a promenade rather than beach). 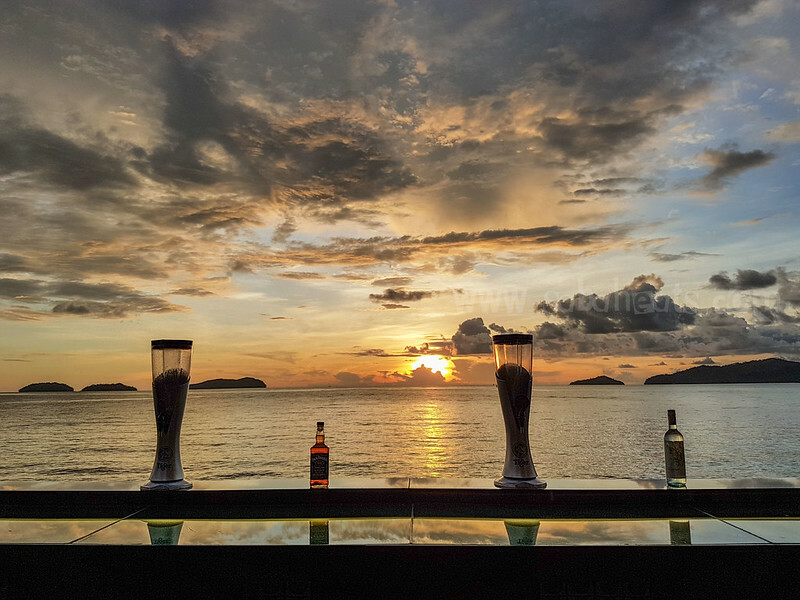 Al Fresco offers great location for sunset view. 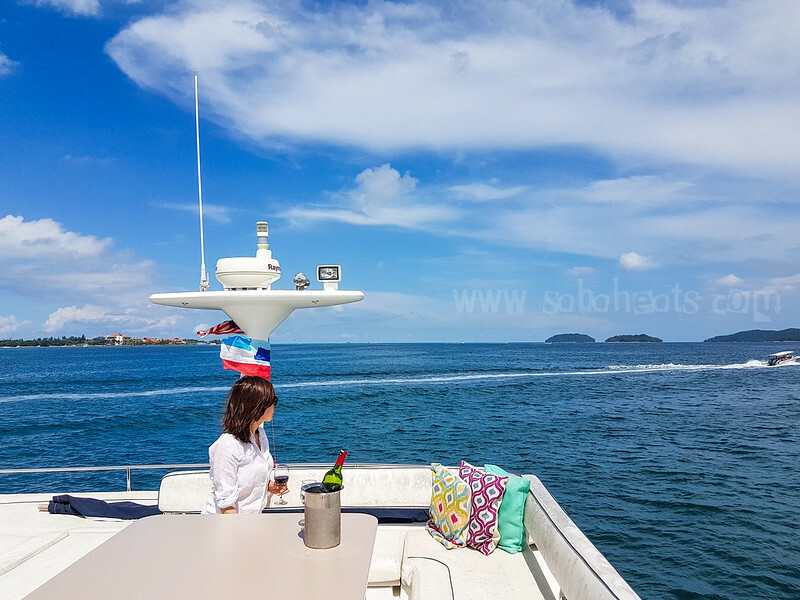 The view is fantastic and the casual breeze keeps us comfortable. 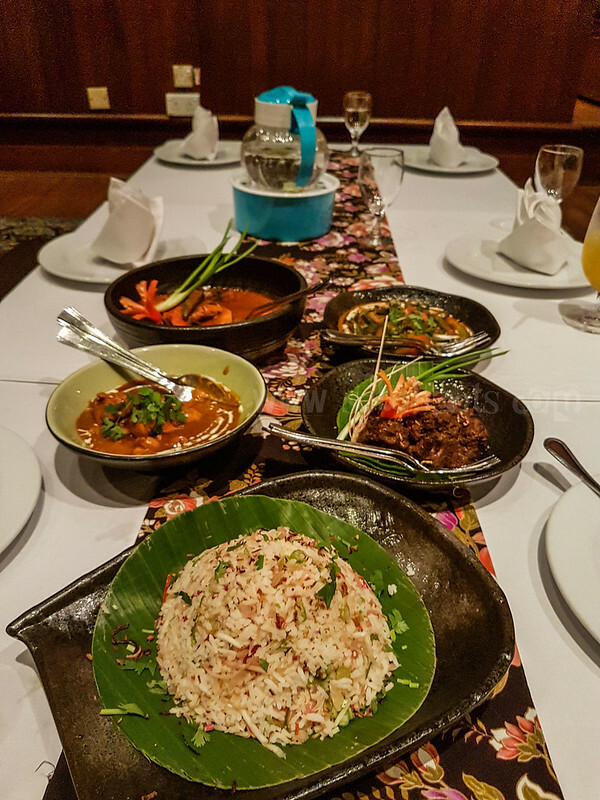 Spice Island, one of the Resort’s signature and award-winning restaurants, offers a unique fusion of traditional Malay and Indian dishes. 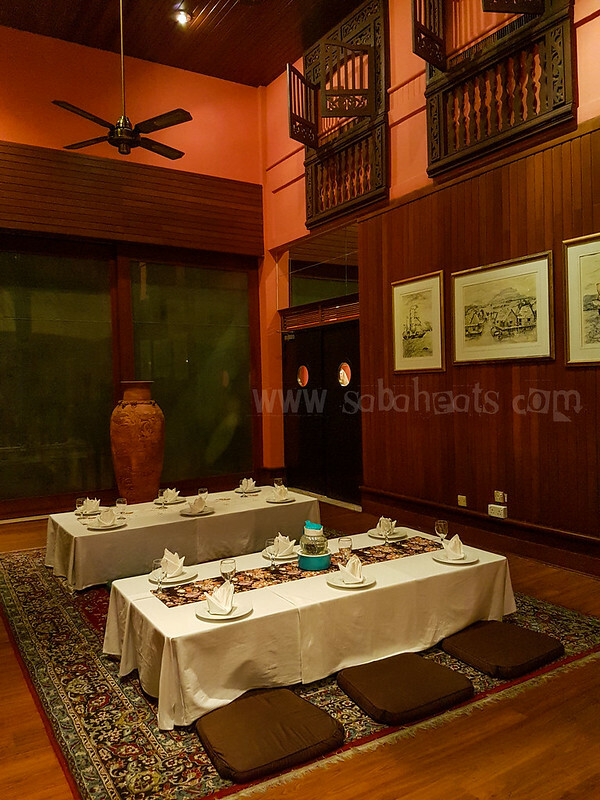 The restaurant has hosted royalties and dignitaries, designed to replicate ethnic Malay houses and lavishly decorated with traditional artifacts. 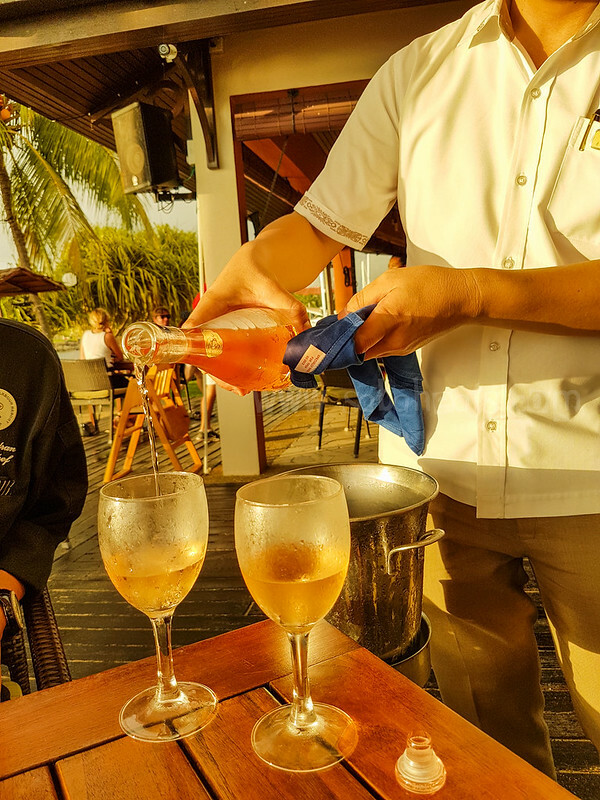 Open only for dinners, it is advisable to make an advanced reservation as the restaurant is popular among Club members, their guests and hotel guests. 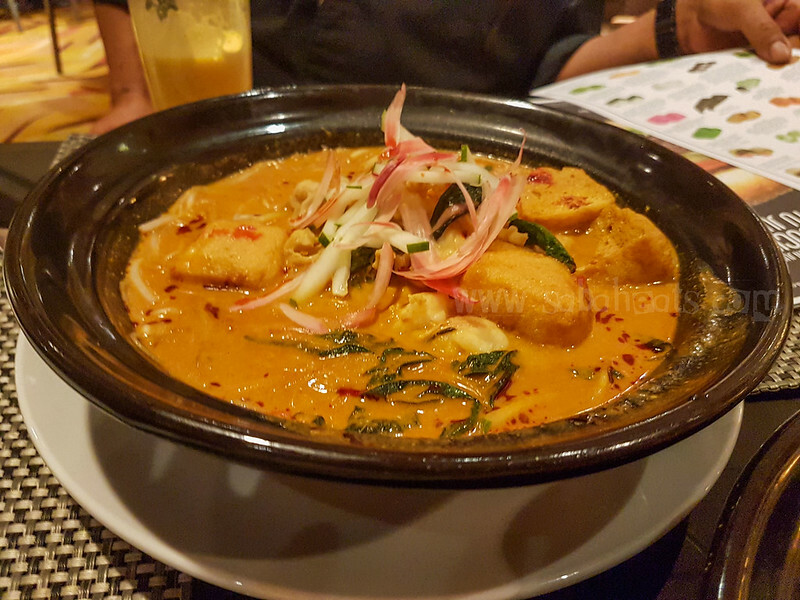 Is its sound like lots of taste, it is as this is one of the most flavourful and delicious Malay Indian food we had. 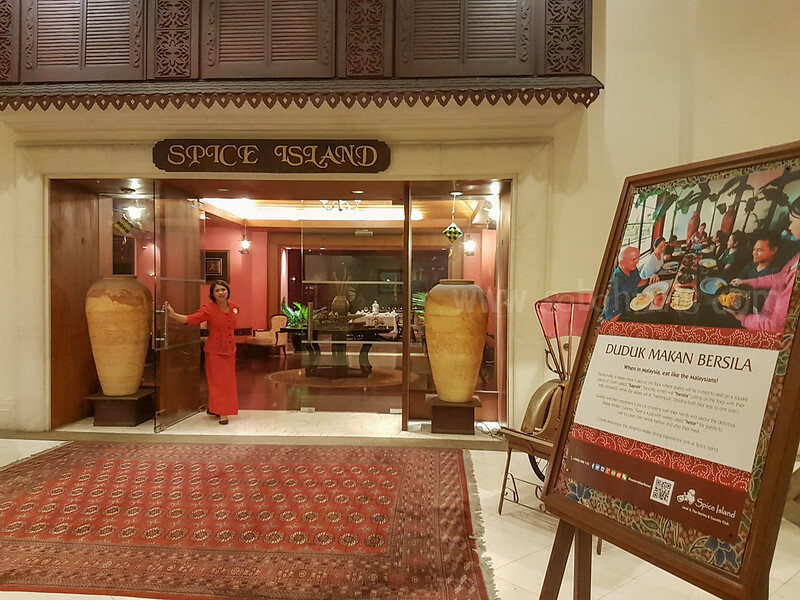 Wonderful atmosphere at Spice Island. 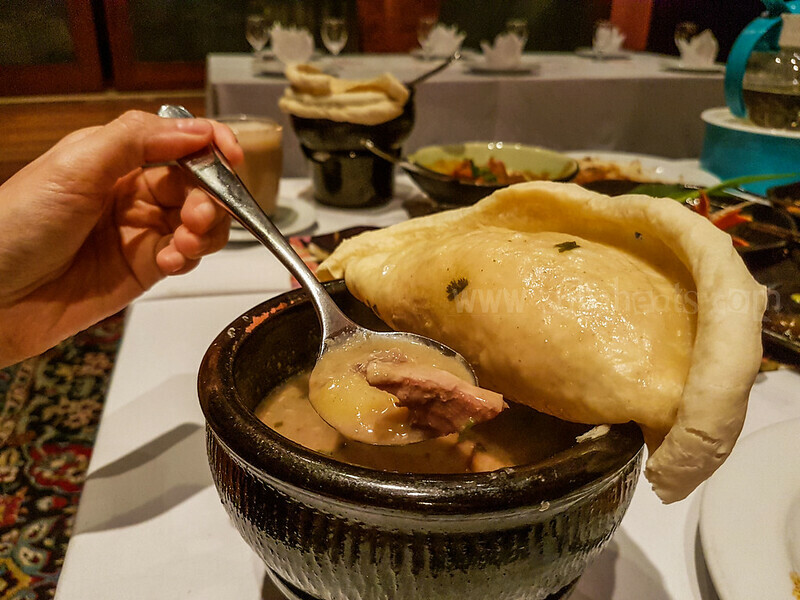 My favorite of the day, Kambing Bertutup, creamy mutton soup covered with garlic naan. 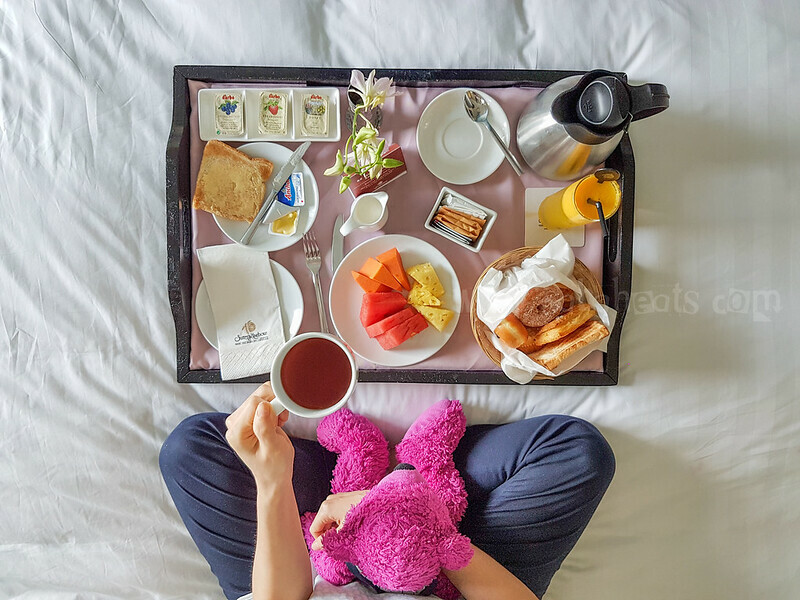 We decide to spend more time in the room and order breakfast delivered to our room. 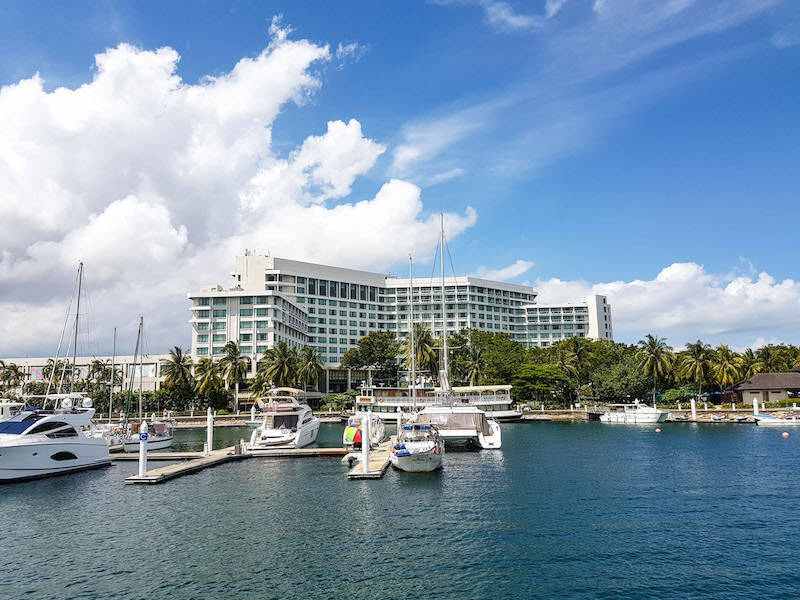 As the weather is great, we arrange a cruise on Puteri Sutera. 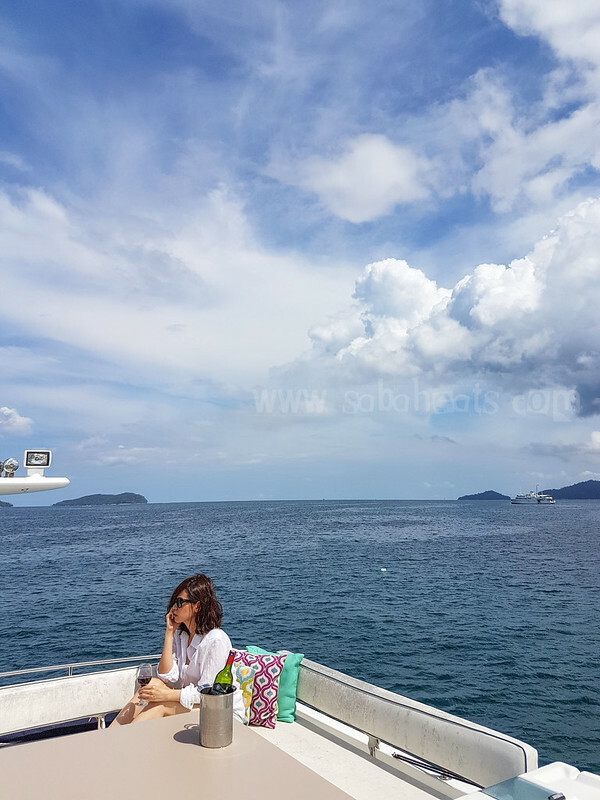 Experience the natural splendor of Kota Kinabalu aboard Puteri Sutera. 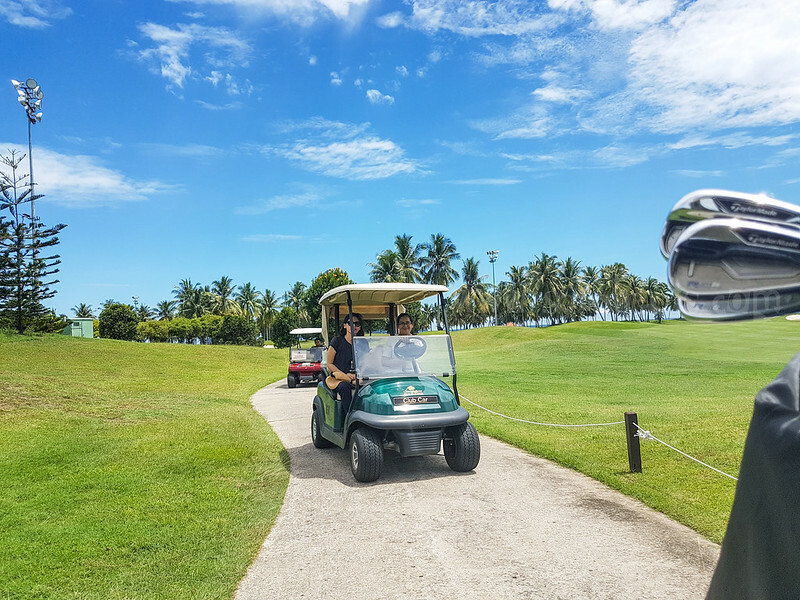 Puteri Sutera is suited for discerning couples, top-level incentive groups, and luxurious family outings. We have to remove our shoes before boarding Puteri Sutera as no footwear is allowed on board. 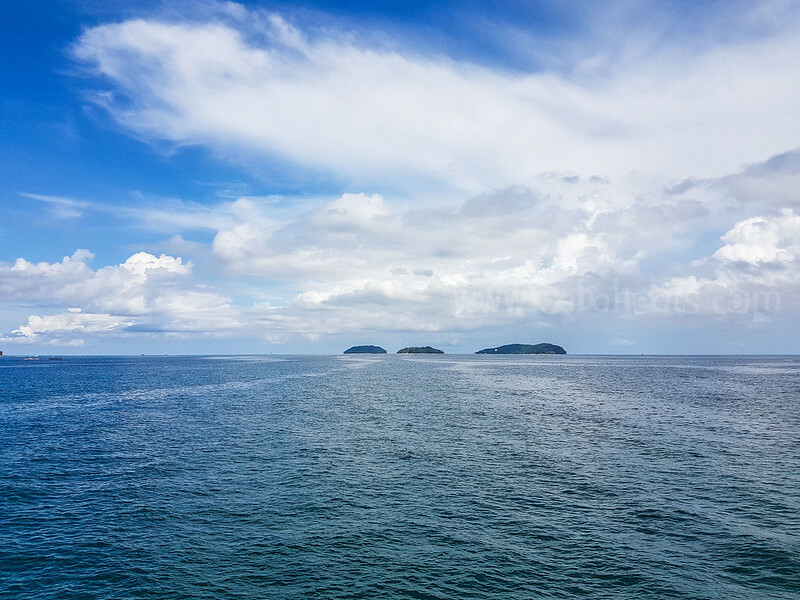 The 3 island of Tunku Abdul Rahman Marine Park, Manukan Island, Sulug Island and Mamutik Island. Great view of the sea. 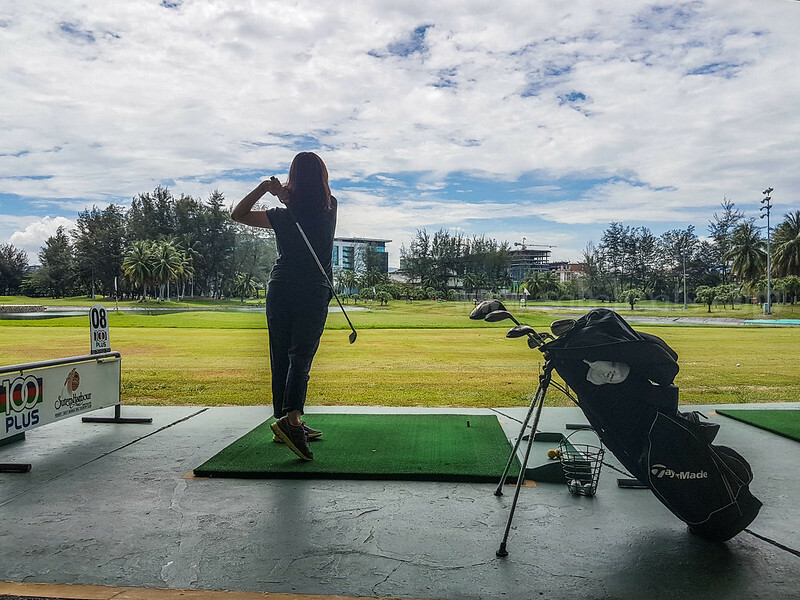 Enjoying the breeze while appreciating the beauty of Kota Kinabalu view on the board of Puteri Sutera. 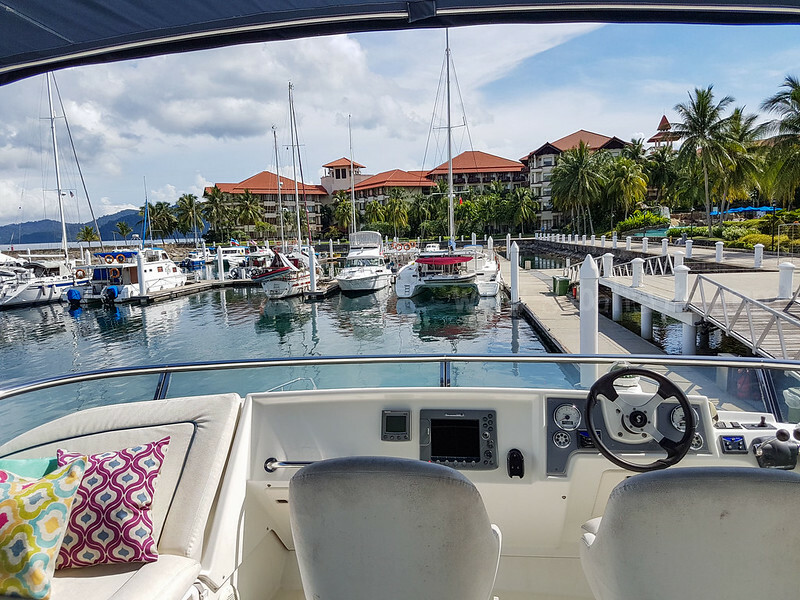 The Puteri Sutera is available for term, full day, half day or hourly charter with a selection of menus for breakfast, lunch, dinner, snacks and an open bar. 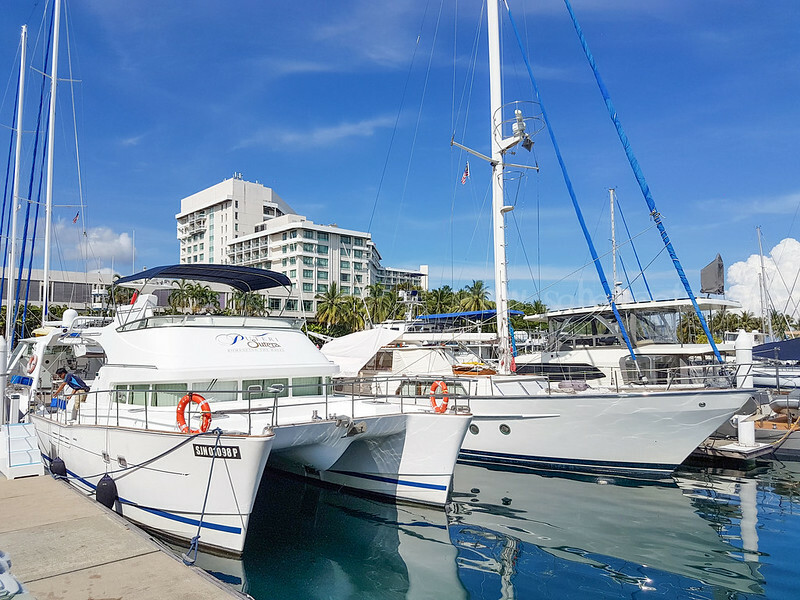 visit http://blog.suteraharbour.com/puteri-sutera-sunset-cruise/ for more information. After an adventurous and unforgettable experience on Puteri Sutera. 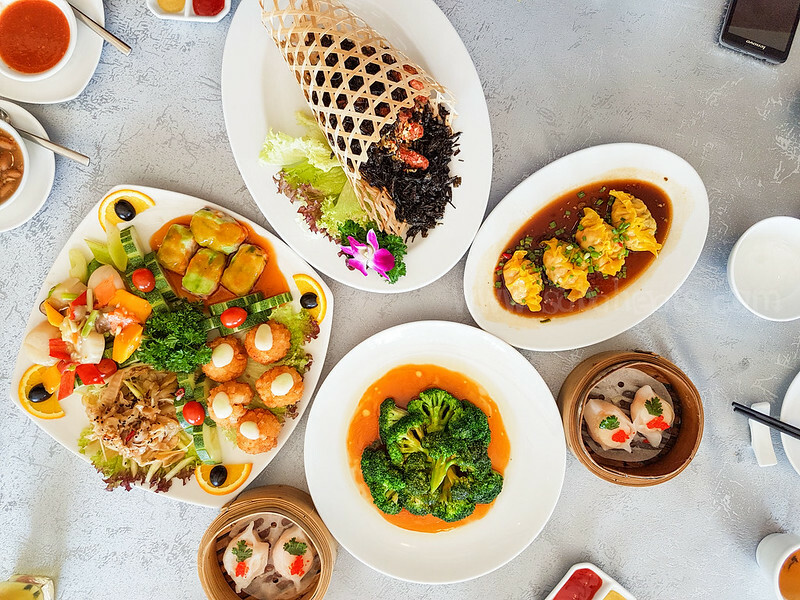 We head back to Pacific Sutera for lunch at Silk Garden. 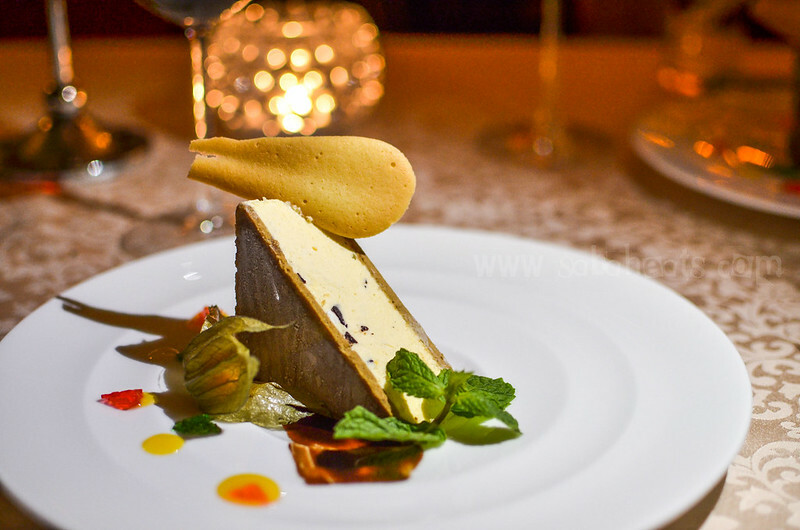 Silk Garden was featured in Malaysia Tatler’s Best Restaurants list of 2009. 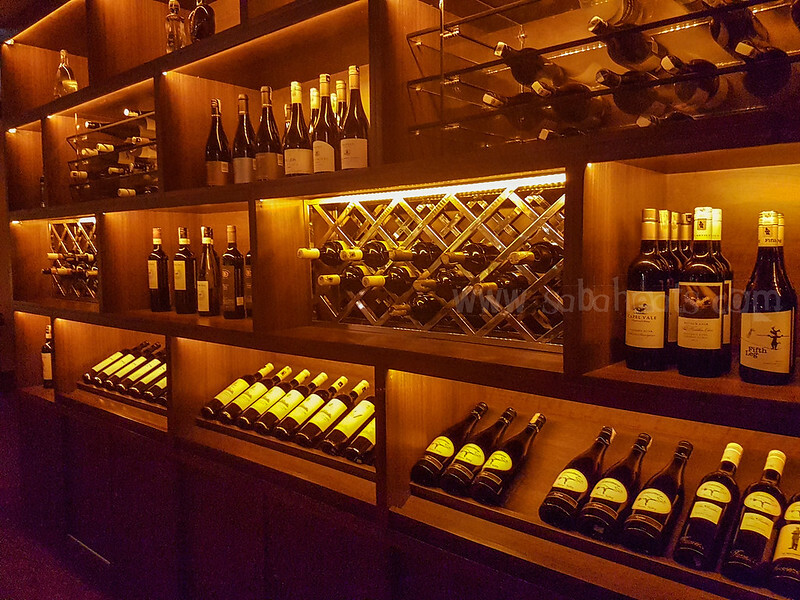 Listed as one of Malaysia’s best restaurants by Malaysia Tatler, Ferdinand’s is a world class Italian restaurant offering the most exquisite fine-dining experience served with style, charm and attention to detail. 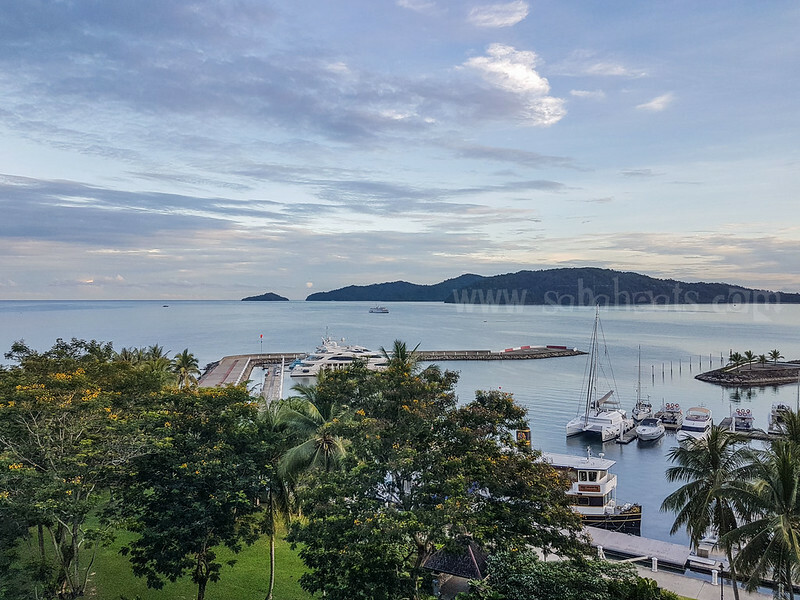 What a great place to end our stay at Sutera Harbour. 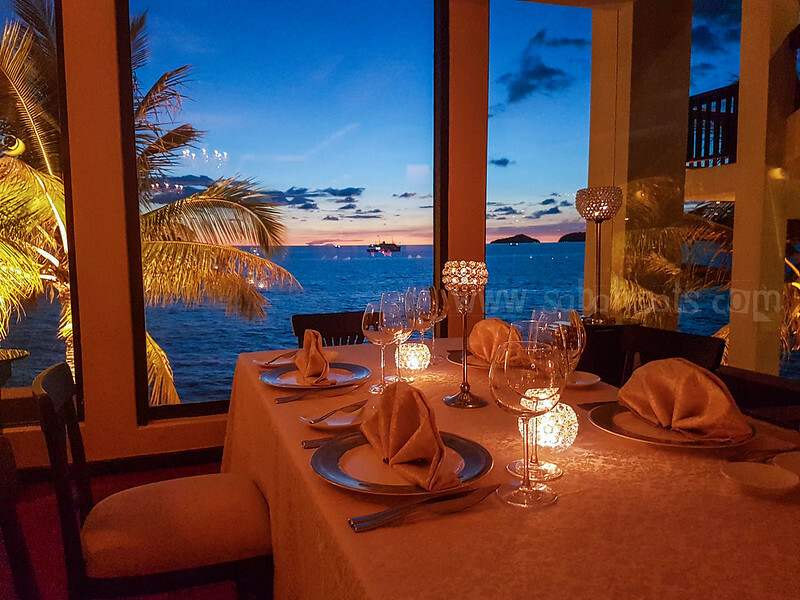 The setting is gorgeous, with a wonderful sea view from the restaurants. The foods look good and taste good too. 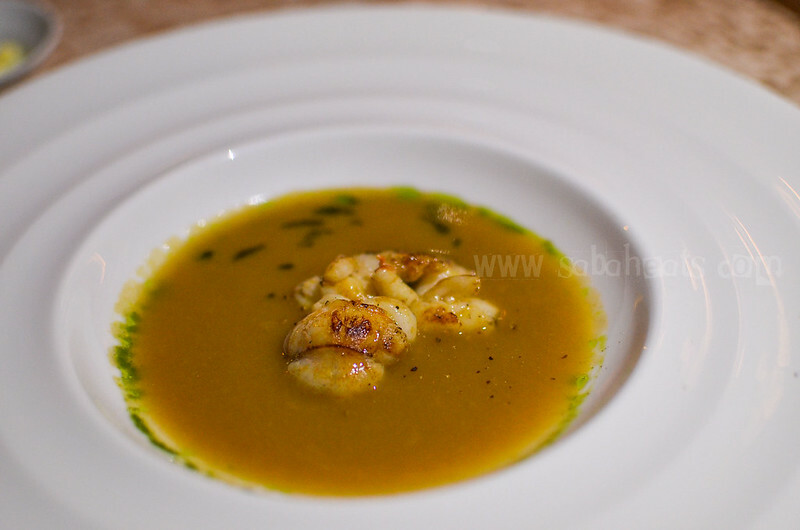 I didn’t remember the name of the dishes but thanks to the recommendation by Chef Daniele Rossetto. 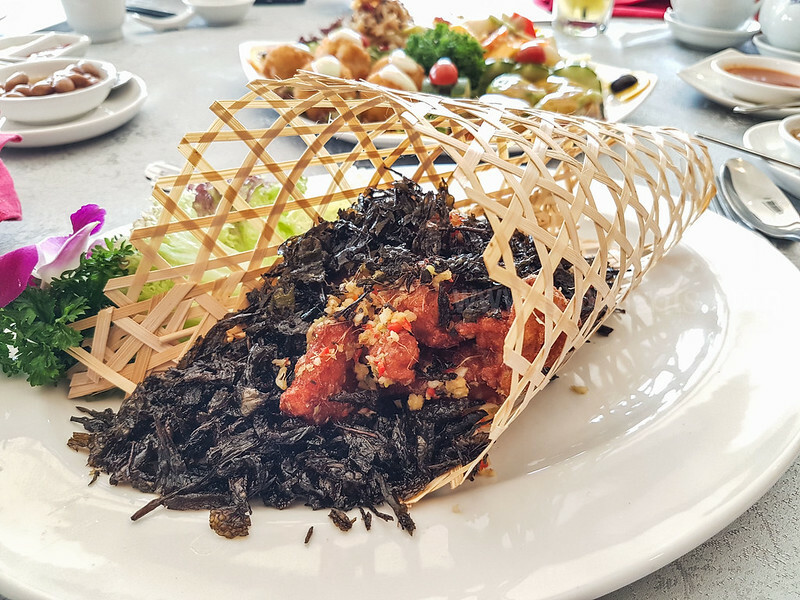 We love every minute of our stay at Sutera Harbour and its eye opener experience to discover the great variety of dining option and offerings on the property. The staffs are attentive and courteous. 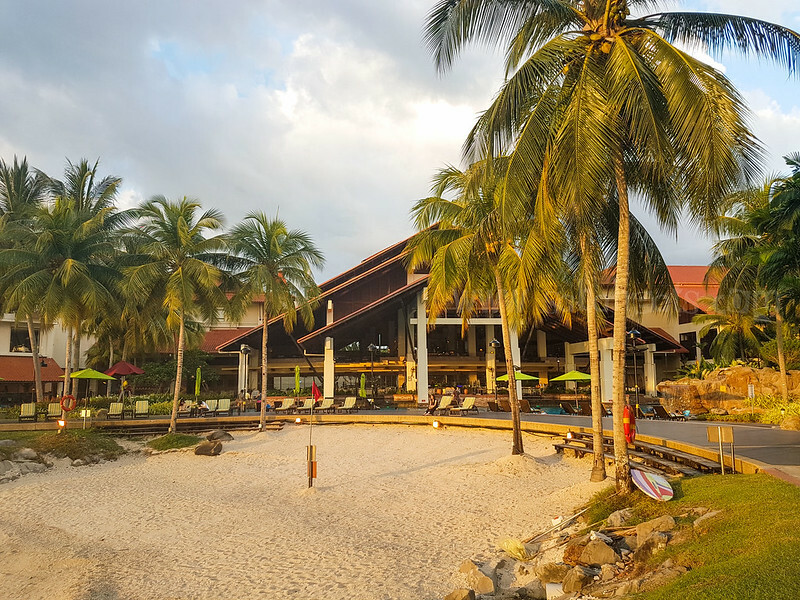 There are so much to do and eat at Sutera Harbour and we will be back for more.